HSX - The highly anticipated unisex line by hipS-sister. 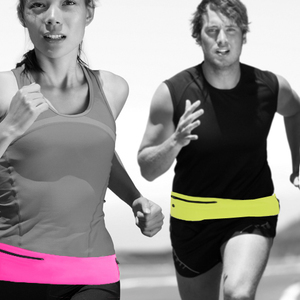 HSX Unisex Sport Belt stores your personal items while you EXPERIENCE life to the fullest. Running, hiking, biking... From working out to sky diving, your stuff will stay exactly where you put it from start to finish. 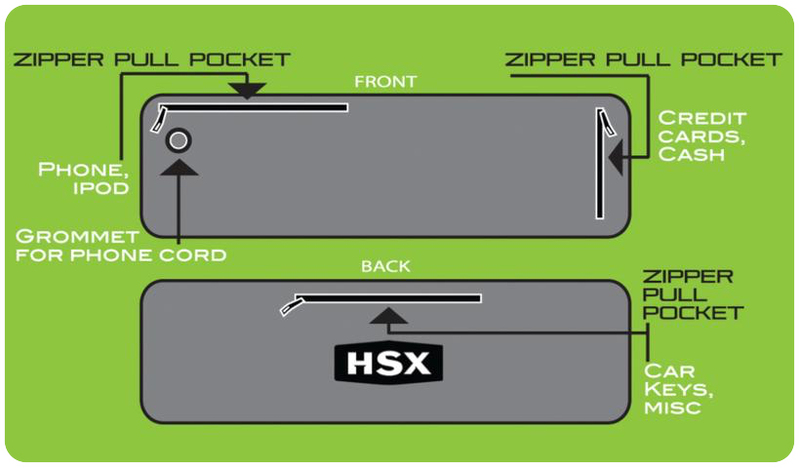 HSX is a 4.5" wide sport belt worn at the waist or on the hips. It is made of a high quality 4-way stretch material and comes complete with size zippered stash pocket, two 6" rubber zipper zippered pockets and an 8mm grommet hole to thread your earphones. 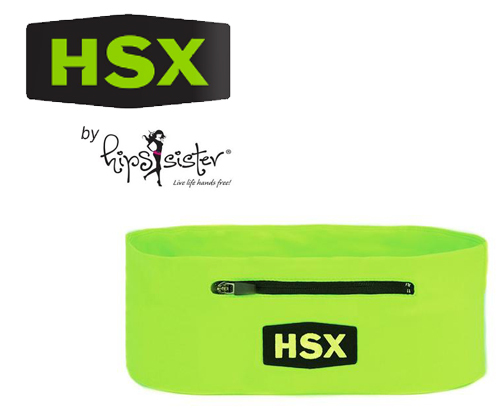 You will love working out with your HSX belt to hold your essentials. It’s comfortable, breathable, convenient and subtle.